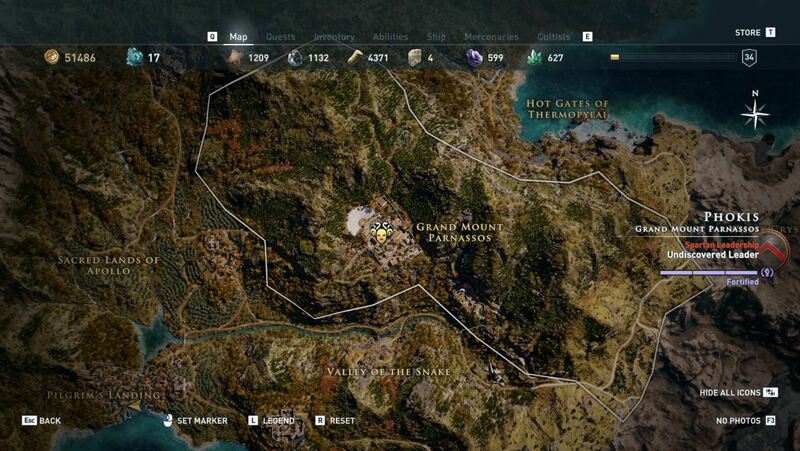 In Assassin’s Creed: Odyssey, many players have been wondering where to find all of the Silver Vein locations. Among the game’s campaign and available activities, you can hunt down and kill members of the Cult of Kosmos. This isn’t always easy, as these cultists need to be discovered using a variety of clues. Additionally, there are different aspects of the cult, including The Eyes of Kosmos, Gods of the Aegean Sea, and a wing called the Silver Vein. By finding all Silver Wing locations, you’ll be able to unlock the Agamemnon Set, Elysian Axe, and other Legendary items. Having a hard time finding one or more Silver Wing locations? We’ve got you covered! Below, we’ve put together a guide on where to find all of the Silver Wing locations in Assassin’s Creed: Odyssey. Side note, shoutout to Shacknews for the images and tips! Below, we'll walk you through where to find all 6 Silver Vein members in Assassin's Creed: Odyssey. 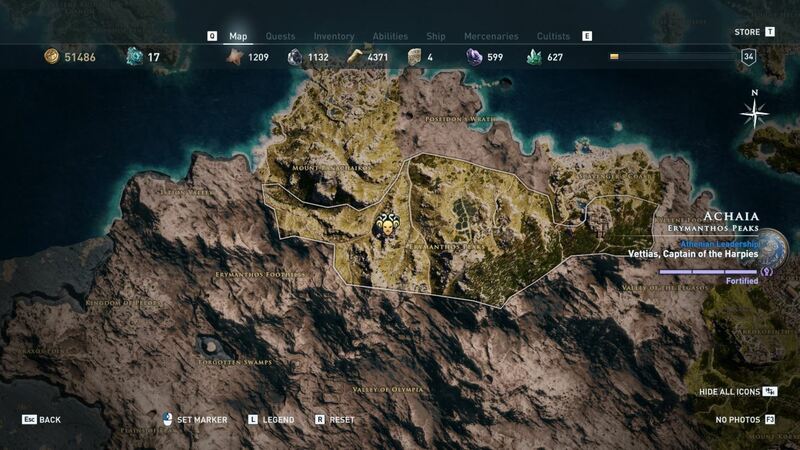 In Assassin’s Creed: Odyssey, you’ll need to find a total of 6 Silver Vein members at various locations. Each Silver Vein has a different level, with levels ranging from Level 10 up to Level 50. You can start your quest to find all of the Silver Vein locations at Level 10 or higher, but note that each Silver Vein increases in level difficulty, so you’ll want to be constantly leveling up while you’re hunting down each Silver Vein. 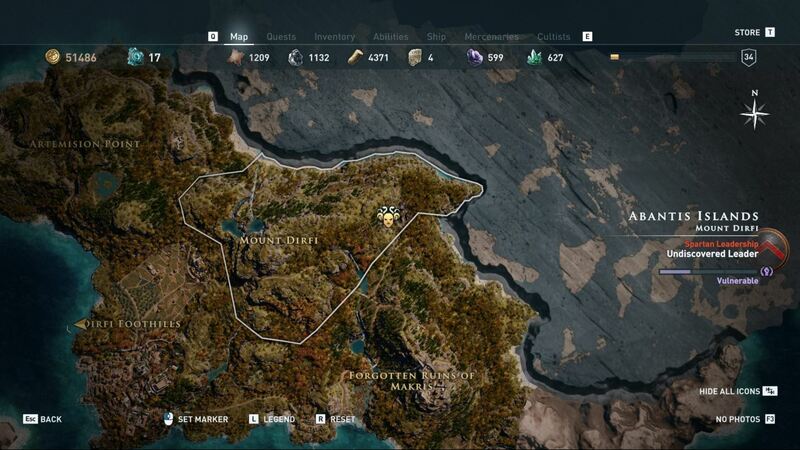 Below, we’ve put together a look at all of the Silver Vein locations, how to unlock them, what loot they drop, and their associated level in Assassin’s Creed: Odyssey. The first Silver Vein can be found at the Sanctuary of Delphi in Assassin's Creed: Odyssey. The first Silver Vein is Epiktetos the Forthcoming. They are a Level 10 enemy that can be unlocked through The Serpent’s Lair. This Silver Vein is located at the Sanctuary of Delphi, Grand Mount Parnassos, Phokis. By killing this Silver Vein, you’ll be able to earn Agamemnon’s Gauntlets. Note that this cultist is killed through story progression, and can’t be missed. 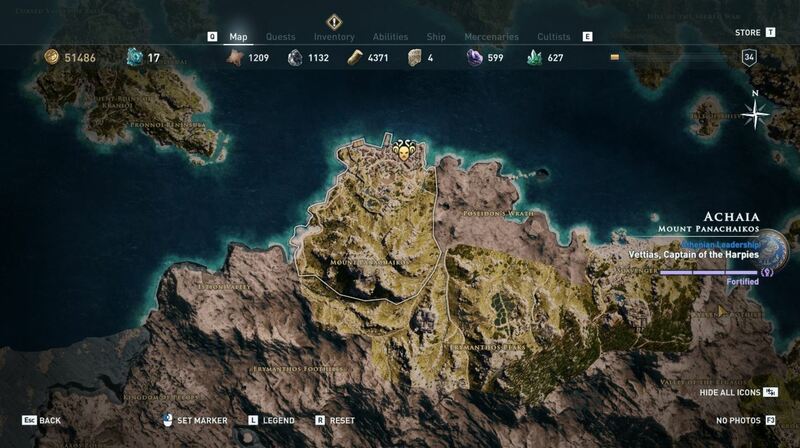 The second Silver Vein can be found at the Beach Encampment in Steropes Bay in Assassin's Creed: Odyssey. The second Silver Vein is The Chimera. They are a Level 20 enemy that can be unlocked through The Serpent’s Lair. This Silver Vein is located at the Beach Encampment, Steropes Bay, Andros. By killing this Silver Vein, you’ll be able to earn the Boots of Agamemnon. Note this cultist has a few guards around, so you’ll need to kill the guards along with The Chimera. Be sure to confirm the kill once The Chimera and her guards are dead. The third Silver Vein can be found in the Abandoned Mine on Mount Dirfi in Assassin's Creed: Odyssey. The third Silver Vein is The Centaur of Euboea. They are a Level 31 enemy that can be unlocked through The Serpent’s Lair. This Silver Vein is located in the Abandoned Mine, Mount Dirfi, Euboea. By killing this Silver Vein, you’ll be able to earn Agamemnon’s Waistband. Note that this cultist has guards posted outside the mine. You can sneak past them and into the mind, or you can take them out. Again, don’t forget to confirm the kill once The Centaur of Euboea is dead. 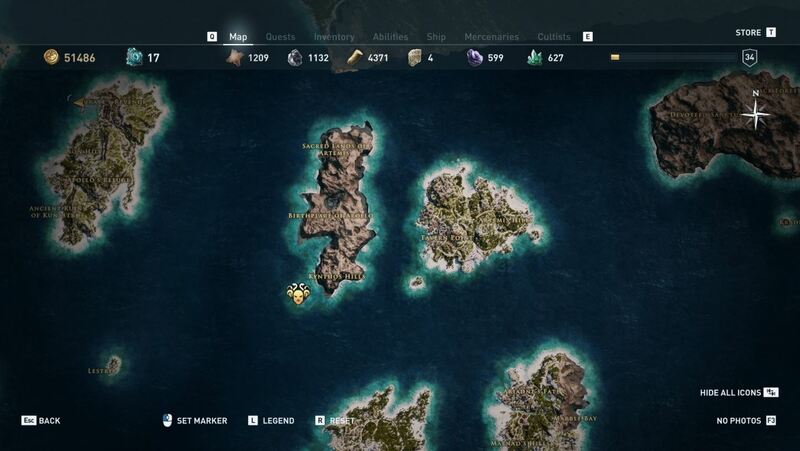 The fourth Silver Vein can be found on Prasonisia Island in Assassin's Creed: Odyssey. The fourth Silver Vein is The Silver Griffin. They are a Level 31 enemy that can be unlocked by earning a clue called Slaver’s Gift. This Silver Vein is located on Prasonisia Island, Tavern Point, Mykonos. By killing this Silver Vein, you’ll be able to earn Agamemnon’s Body Armor. Note that the clue to find The Silver Griffin is located in the Silver Mine, which is part of the Silver Mountain region in Attika. There’s a Legendary Chest in the mind, and inside is the Slaver’s Gift clue. The fifth Silver Vein can be found in the Patrai Military Shipyard in Assassin's Creed: Odyssey. The fifth Silver Vein is Machaon the Feared. They are a Level 45 enemy that can be unlocked by earning a clue called Dead Man’s Note. This Silver Vein is located in the Patrai Military Shipyard, Mount Panachaikos, Achaia. By killing this Silver Vein, you’ll be able to earn Agamemnon’s Helmet. 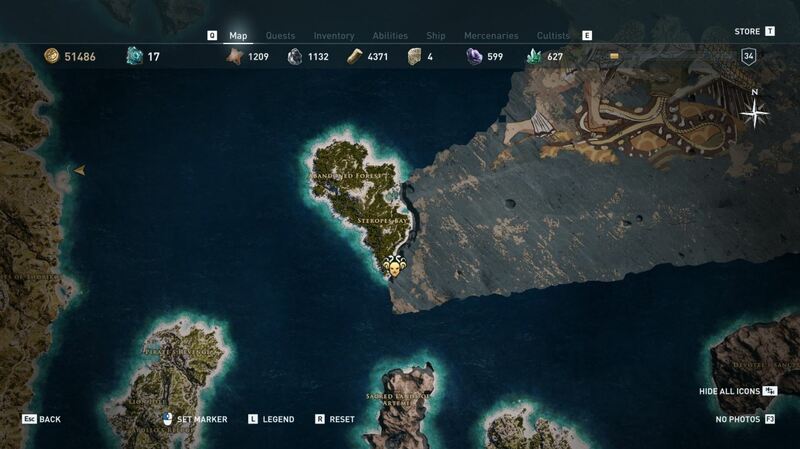 Note that the clue to find Machaon the Feared is located in Shipwreck Cove as part of the Scavenger’s Coast in Achaia. Dead Man’s Note can be found by looting a dead body sitting on a rock. The sixth Silver Vein can be found in Teichos of Herakles in Assassin's Creed: Odyssey. The sixth and final Silver Vein is Polemon the Wise. They are a Level 50 enemy that can be unlocked by eliminating all of the other Silver Vein members. This Silver Vein is located in Teichos of Herakles, Erymanthos Peaks, Achaia. By killing this Silver Vein, you’ll be able to earn the Elysian Axe. Note that the best way to kill this Silver Vein is by using your bow and whittling away his health. We recommend Predator Shot and Ghost Arrows of Artemis as the most efficient ways to take out Polemon. Using this method, you can go after him even if you've yet to reach Level 50. 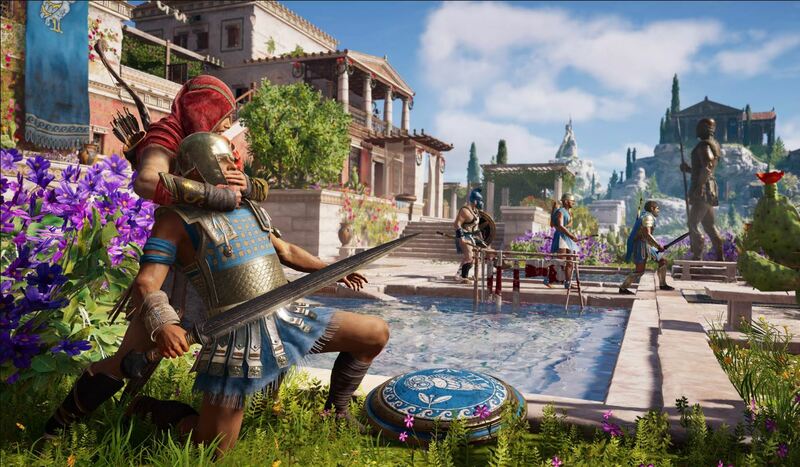 For more on Assassin’s Creed: Odyssey, be sure to check out some of our previous guides including how to get Soft Leather in Assassin’s Creed: Odyssey, how to get Obsidian Glass in Assassin’s Creed: Odyssey, and where to find the Record Sunshine Ainigmata Ostraka Treasure location in Assassin’s Creed: Odyssey. Itching for more cult members to fight? We've also got guides for the locations of every member of The Eyes of Kosmos, as well as where to find the tougher Silver Vein cultists for the Agamemnon armor set. By reading through this guide, you should now know the locations of all 6 Silver Vein members in Assassin’s Creed: Odyssey.